While examining the multiple factors that go into your career choice, we bet that your long-term hearing health is pretty low on the priority list—if it’s there at all. We understand. And while we don’t really think that your ability to hear in the future should dictate your career choice, we do think you should be informed of the risk—so that you can incorporate appropriate hearing protection and stick to the best habits to preserve your hearing. As reported by the CDC, occupational hearing loss is one of the most prevalent work-related health issues in the United States. 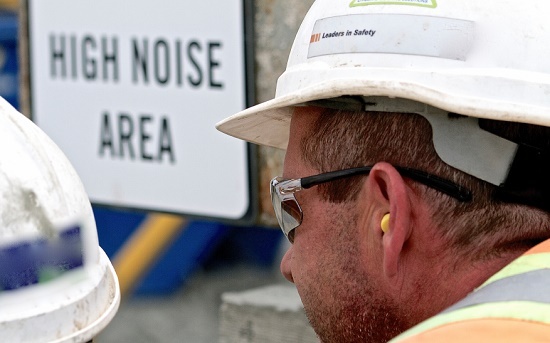 Twenty-two million people are subjected to hazardous noise levels at work, and an estimated $242 million is spent annually on worker’s compensation for hearing loss. So this isn’t a minimal concern; the personal and social consequences are immense. If you decide to pursue one of the following eight careers—or presently work in one—take additional precaution to take care of your hearing. Here are 8 of the loudest industries. 1. Military – Almost all firearms can produce 140 decibels (dB) of noise. This is significantly above the safety limit of 85 dB, and has the potential to create immediate and permanent hearing damage. Explosions and other sounds of warfare add to the danger. This is why hearing loss and other hearing problems represent the most widespread injuries for veterans. 2. Music – Rock concerts can reach over 110 decibels, exposing performers to hours of continually harmful noise. That explains why research has shown that musicians are four times more likely to develop noise-induced hearing loss—and 57 percent more likely to suffer from tinnitus—than other people. 3. Manufacturing – As reported by the Bureau of Labor Statistics, hearing loss is the most commonly reported work-related illness in manufacturing. Manufacturing equipment can reach decibel levels of well above 100. 4. Carpentry – Similar to manufacturing, carpenters use equipment that can reach damaging decibel levels. A power saw alone can reach 110 dB. 5. Aviation – A jet take-off at 25 meters registers at about 140-150 decibels. The decibel level decreases as distance increases, but aircraft pilots and airport personnel should protect against the noise. 6. Emergency Response – Ambulance and fire engine sirens can produce decibel levels of over 130. In fact, a group of firefighters has recently taken legal action against a siren manufacturer after experiencing hearing loss on the job. 7. Farming – Some tractors and farming machinery can produce well over 100 decibels. Farm workers are advised to keep machinery running smoothly, to take periodic breaks from the noise, and to use hearing protection. 8. Racing – The sound of a single race car can reach over 120 decibels, and a race in full action can reach 140. Participants, fans, and workers at racing events are all at risk for developing hearing loss. Taking these three easy steps (especially # 3) will permit you to pursue the career of your choosing without needing to compromise your ability to hear in the future—because wearing earplugs now is better than wearing hearing aids later. 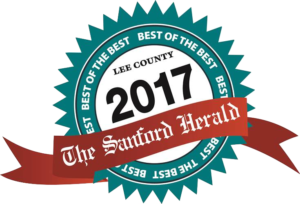 Call us today at 919-888-4634 or send in this form now.